Gabrielle Jones: Teaching in an increasingly global community. | Stop Complaining – Enjoy Language Teaching! The world of teaching business English can be cutthroat as many people, native and non-native speakers, feel that since they speak the language, of course, they can teach it. Gabrielle Jones is not of that opinion. Getting training and becoming certified, as well as being interested and knowledgeable in business matters, are important to raising the level of professionalism and quality on the market. She’ll be sharing some of her expertise this coming weekend at the ELTForum conference in Bratislava. Read on for more. SCET: How did you get into teaching business English? What type of training do you think is necessary to do what you do? 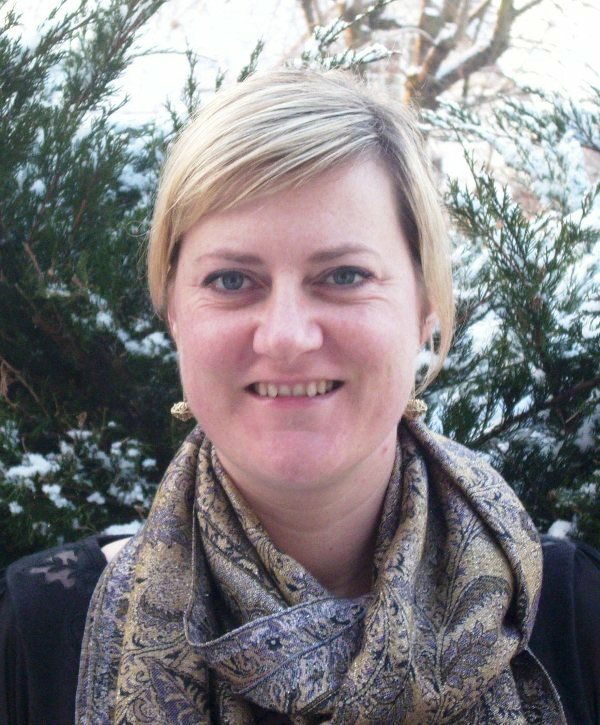 Gabrielle: I began teaching EFL in Dresden, Germany in 2000, after having completed a CELTA course. I began teaching business English pretty much straight away as it seems to make up the majority of the EFL market in Germany. I began with small classes of business people who wanted to brush up on their English, and then moved on to skills’ training and coaching. At that time I had a business background, having completed a degree in European Business Studies, and having worked in a managerial capacity for 2 years. I think that qualifications such as the CertIBET (Certificate in International Business English Training) are a great starting point for new business English teachers and trainers. Just as helpful is a real interest in the business world and personal experience of working in a company. Later on courses such as the DELTA or an MA can be useful too – I got my MA last year and specialised in genres of business English. SCET: You’ve taught in South America, Spain and now Germany. How do your business English (BE) learners differ? Are there cultural differences to overcome? Gabrielle: There are tremendous differences in terms of learning objectives. In South America most learners wanted to practice fluency and feel confident when speaking English – they didn’t have a great deal of contact with foreign companies although this is likely to have changed now. In Spain there is a great focus on studying for English exams, particularly the Cambridge FCE, advanced and proficiency and BEC exams. In Germany, learners focus both on skills work in business and confidence and fluency too. All countries have been fun to teach in, but I find Germany the most challenging – teachers are really considered professionals and are treated with respect. In terms of culture too, Germany are more challenging to teach. Many people are very task-focussed and I dedicate many classes to helping learners develop relationship-building language, as I’ll be discussing in my workshop. I have, however, also forged solid relationships with a number of my BE students here, and recently took a group of them on a ‘school trip’ to England! SCET: What are the biggest challenges, in your opinion, faced by BE teachers? What strategies are there to dealing with them? Gabrielle: The business English market seems to be saturated at the moment. There are so many schools and freelancers offering business English training that companies are able to drive down prices and often prefer to use cheaper suppliers than to invest in quality training. For language schools it’s often difficult to recruit teachers who have solid experience in business, allowing them to relate to the needs of clients. There are, however, a wealth of professional development opportunities which trainers can participate in to upgrade their skills and make themselves more marketable. As I mentioned earlier the CertIBET helps teachers to enhance their skills in teaching business English and makes them more employable. SCET: You’re involved in IATEFL BESIG. What has being a member of such an association and such a special interest group brought you? Membership fees and conference costs are high. What do you get out of it that justifies the expense? Gabrielle: Both IATEFL and BESIG are great organisations to be a part of. Both offer excellent conferences once a year with a huge range of sessions targeting all areas of teaching from teaching technologies to academic research. What I particularly enjoy is the high level of peer support which is offered. Their Facebook pages and NING platforms mean that you can pose questions and get advice from people in a similar position to you very quickly. BESIG offers online seminars once a month on a number of interesting topics, often held by respected authors and researchers such as Vicki Hollett and Evan Frendo. IATEFL has also started to offer webinars and the first one was kicked off by the IATEFL president, David Crystal, and Penny Ur will be presenting in June! Several times a year they publish magazines with lessons plans and articles offering advice and ideas for the classroom. I find both organisations hugely helpful and would encourage all teachers to become members! SCET: What prompted you to send a proposal to eltforum.sk? Gabrielle: I’m employed as a training manager now and spend most of my time in an office, but remain very committed to my career as an English trainer. Conferences such as eltforum.sk are a great way to discover new techniques and ideas and as a presenter I enjoy sharing my own experiences and exchanging views with other teachers and trainers. I’m a frequent presenter in teacher training events around Germany and now I’d like to extend this to an international level: we’re all living in an increasingly global community and my workshop is relevant for business English practitioners in all contexts. I’m really looking forward to ELTForum.sk! Gabrielle Jones has been an EFL teacher and trainer since 2000, specializing in business English and ESP in multinational companies in Ecuador, Spain and Germany. She has a strategic role in a language and communication training company in Ulm, Germany, where she is responsible for developing new training concepts for corporate clients, as well as for professional development and training of 45 training staff. Her main areas of interest are professional communication, technical English and intercultural small talk. She holds an MA in TESOL and Applied Linguistics and is a DELTA tutor. You can follow her teaching experiences and share her lesson plans on her blog. This entry was posted in ELTForum.sk, eltforum.sk 2013, Interviews, Main, Teacher Training and tagged business English, eltforum 2013, ELTForum.sk, Gabrielle Jones. Bookmark the permalink. 2 Responses to Gabrielle Jones: Teaching in an increasingly global community. All countries have been fun to teach in, but I find Germany the most challenging – teachers are really considered professionals and are treated with respect. In terms of culture too, Germany are more challenging to teach.